A successful commercial relocation is highly dependent on the tasks completed well prior to moving day. Maintenance is one of the more significant tasks that must be completed and one that is often overlooked. However, without proper maintenance, you risk the possibility of coming across discrepancies, additional fees, delays and several other inconveniences that can deter a quick and efficient relocation. So, before you start packing your office supplies and equipment into boxes, take a look at the maintenance duties to complete before you move. It’s imperative to conduct all necessary maintenance and repairs on the property of your current office to avoid additional and unexpected costs. Not only is it proper etiquette to leave the property in the same condition as when you first moved into it, but leaving the property in disarray or worse, damaged, can result in additional fees charged to you by the building’s owner. These fees could include everything from professional cleaning fees, carpet cleaning fees, the cost of repairs, a penalty fee for not complying with the rules established at the time of leasing the building, etc. While it may seem like an unnecessary cost to repair a building you’ll no longer be occupying, you risk significantly larger expenses when you avoid proper maintenance and repairs. When it comes to relocating office furniture, it’s common to think you only have two options – to relocate or to replace. However, you also have the opportunity to refurbish, repair and remanufacture your office furniture. Doing so can be highly beneficial, particularly for your business budget. For the office furniture that is in mint condition and ready for relocation or storage, it’s crucial to complete various maintenance tasks to ensure the condition remains the same throughout the duration of travel or while being stored. These tasks include washing the exterior to remove any dirt, dust or debris; tightening screws and bolts; securing any loose pieces; disassembling large furniture items, etc. These maintenance tasks may seem trivial at first, but they are vital to avoiding potential damage. Inarguably, one of the most critical office relocation tasks is the maintenance of IT equipment, data, and connections. After all, they are likely the lifeline of your business, and to ensure a quick and efficient move with minimal downtime; you want to ensure they’re in optimal condition upon arrival at your new office location. It’s highly recommended to have a meticulous plan that details the maintenance that needs to be completed before the move and to assign a senior IT team member who has the knowledge, resources, and expertise to complete them. These tasks include backing up data and servers, performing serve database maintenance, disabling monitoring alerts, stopping front-end applications and databases, shutting down and powering off servers and storage, etc. Maintenance is also required for the physical components of your digital infrastructure, such as the organization of connections, cleaning of surfaces, dismantling, and reassembly of tech equipment, etc. Completing these tasks is crucial to minimizing disruptions and potentially detrimental discrepancies during your office relocation. 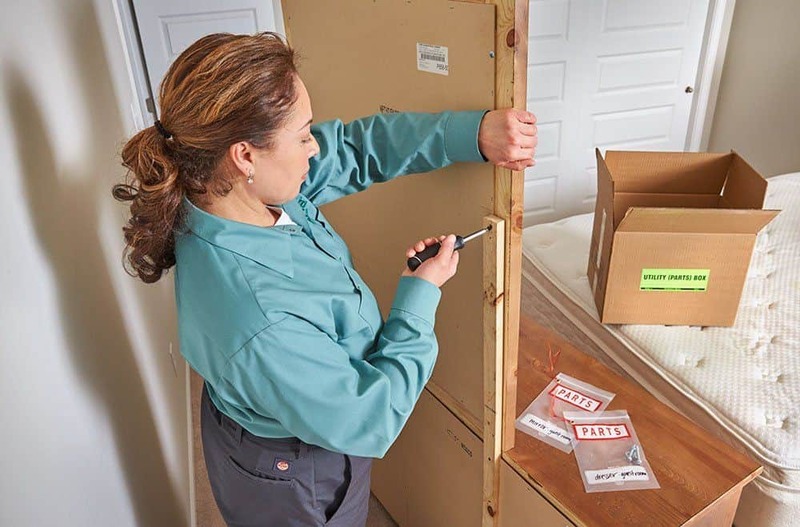 Once you have put forth the time and effort needed for maintenance for a safe and secure transportation of your office equipment and belongings, it’s crucial to implement the proper moving techniques to ensure they remain in optimal condition throughout the office relocation. Hiring professional moving solutions provides you with experienced moving specialists to handle the most important, tedious and complex moving tasks, such as the proper packing of expensive equipment, the disassembly and reassembly of large furniture, the safe and secure loading and unloading of your belongings and more. Speak with a Bekins Moving Solutions specialist today to explore the possibilities of a quick, efficient and stress-free move.